What does your practice do to raise awareness of the benefits of quitting smoking? All dental practices should embrace the ‘making every contact count’ healthcare principle by conducting oral health checks on each and every patient and engaging those who do smoke in a discussion about the associated serious health risks. As dental professionals, you know only too well that cigarettes are highly addictive and harmful to the person who smokes, as well as the people around them. This month (13 March), No Smoking Day aims to bring awareness to the dangers of this addiction. The day also places the spotlight on the resources available to help people quit. No Smoking Day launched in 1984 and has grown in size and scope ever since. Over time, it has become very clear how terribly dangerous smoking is, with toxins in them that cause many different forms of cancer – from the mouth to the lungs. What is also important to know is that while it may be a personal choice to smoke or not, when one smokes near another person, the second-hand smoke is just as dangerous to them. 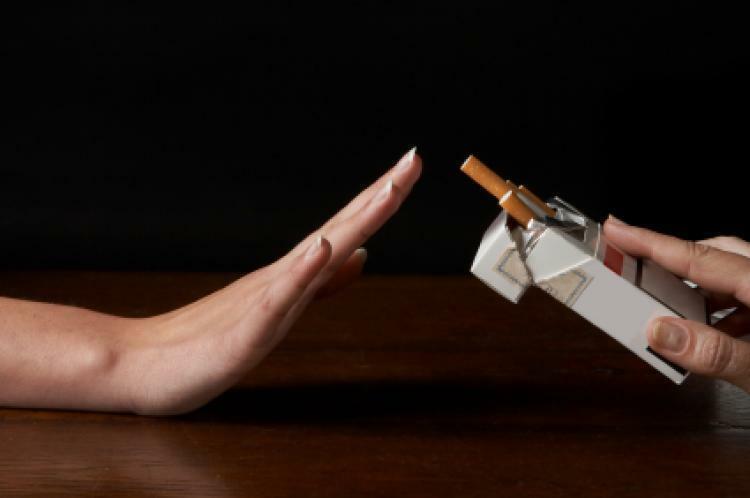 The best way you can mark No Smoking Day is to flag up the risks within your practice and aim to start a conversation with those patients who continue to smoke. It isn’t just health that is impacted, of course – smoking can also ruin the aesthetics of a smile and, for some patients, it may be this message that makes them rethink their lifestyle habits. Smoking is just one barrier to a white, bright and healthy smile and putting a tobacco-free lifestyle into the context of good all-round oral health will help an intervention succeed. If your patients know the benefits of a healthy mouth, which means they can avoid invasive and lengthy dental treatment, this is another reason to stub out their cigarettes. There are many options to support your patients once they make the choice to quit and it is important to signpost these, too, so be sure to help to guide them so they may access the resources that can help. Encourage patients (and their families) to go smoke free and consider referring patients for complementary therapies alongside the use of NRT to assist with stress reduction and cravings. Always seed the idea of stopping smoking with patients.